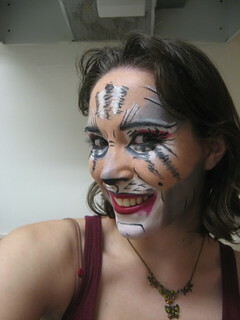 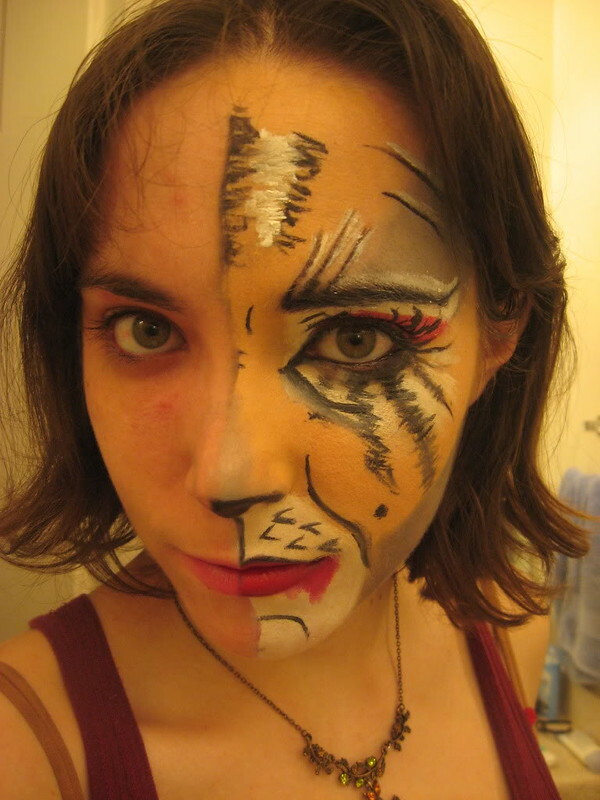 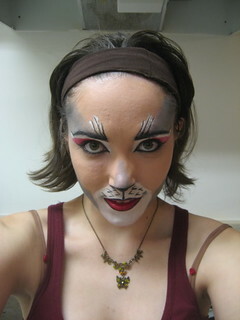 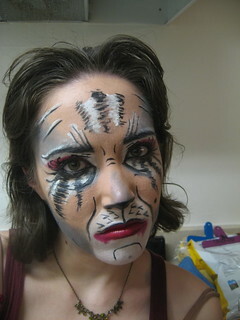 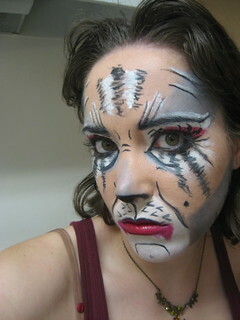 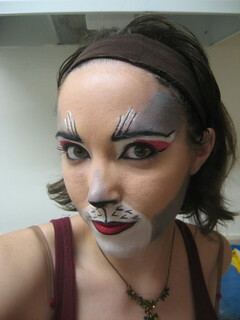 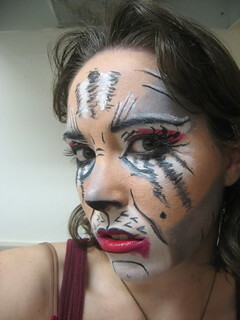 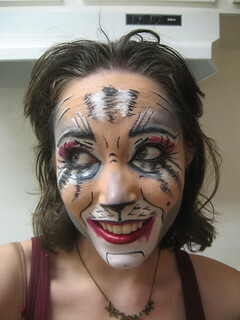 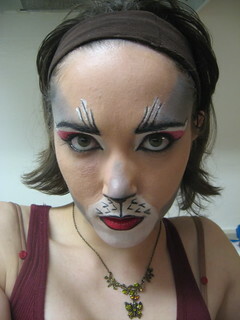 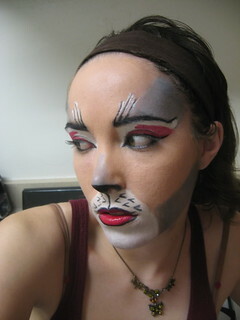 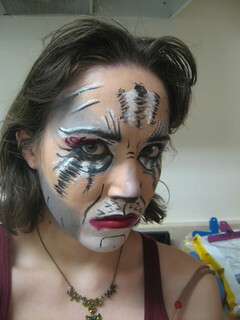 This was the first time I did makeup as Grizabella, the star of CATS who she sings the famous song Memory. 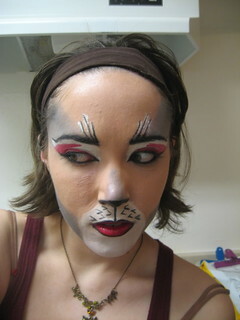 It was also the first makeup of 2010 and the first time I used oil based professional Ben Nye makeup. 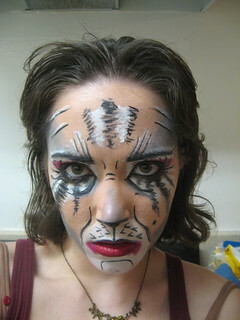 It's so much easier to work with than the Halloween makeup, I was truly amazed. 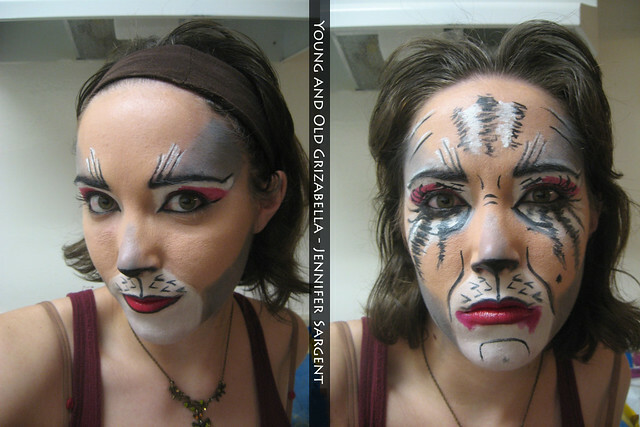 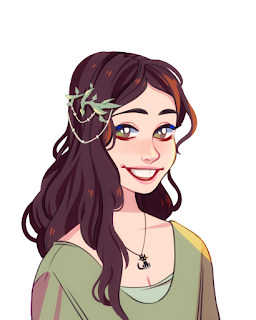 I wanted to do two make-up jobs in one night so what better way to do it than with Girzabella?